Hyde & Sleep had the vision to help Britain improve the way it sleeps. Their solution was to design the ultimate luxury mattress at an affordable price. But they realised that people are always slightly different in what mattress they want, some want a nice firm mattress for extra back support while others are far more comfortable in a soft mattress. So they created three slight variations on their mattress. A soft a medium and a firm model. They feel a bit like this:. Hybrid Plus Soft – For those who like to melt into their mattress. 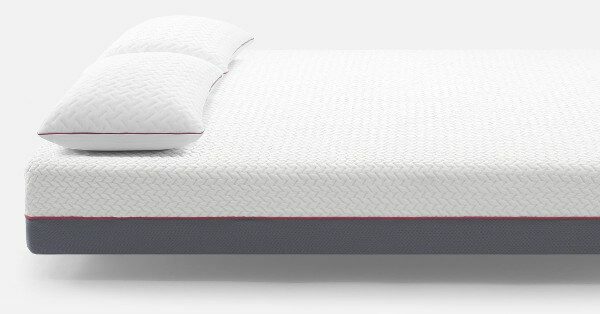 Our unique combination of pocket springs and next-gen memory foam. Hybrid Plus Medium – Our best selling mattress for those who like a true balance of soft and firm. This is 25cm of pure comfort. Hybrid Plus Firm – A mattress that truly has your back. All the comfort you would expect, with just a little extra support. They actually approached the company Dreams when they knew exactly what they needed to do and with their 30 years of bed expertise onside Hyde & Sleep came to market. 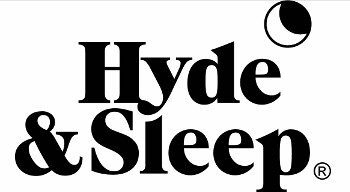 Something I don’t really like about Hyde and Sleep is that their advertising is very sexual, and I don’t know why. Sure that is an activity that happens in bed but compared to how often and long you spend sleeping in it shouldn’t be priority number one! That said it doesn’t actually affect whether or not the mattress is any good, so let’s stick to the technical side for now. The Hyde and Sleep mattress has two of the same layers as the memory foam, they both feature the cooling layer and the base layer but the all-important difference is in the middle. The first layer is the all-important comfort layer. Traditionally memory foam trapped in heat which caused you to wake up too often from overheating and never quite get comfortable. Hyde and Sleep decided this wasn’t good enough so developed their own memory foam which has a cooling balm inside allowing you stay comfortable all night long. This is the real support of the mattress, it is a combination of memory foam and latex. The latex helps give it a little more bounce but it’s the memory foam that gives it the support. It moulds around you while you sleep, without trapping you, giving you extra support in your back and joints so you don’t wake up stiff in the morning. Pocket spring mattresses are the only way to go if you don’t want foam or latex. Each spring is individually sewn into its own pocket so that it can move independently of all the others. This allows for maximum support of the body by cradling the parts that sink the deepest while gently pushing against you holding you in place and letting you completely relax. it really depends which firmness you pick but as a mattress, there’s a nice bit of bounce from the springs but the memory foam really cradles round the body giving you nice support. It’s warm but not overly so, so you won’t get far too hot you’re just kept nice and cosy through the night. Hot Sleepers – The cooling layer and breathable cover make it a great choice for those who tend to get on the warm side while they sleep. Couples – The memory foam layer helps absorb movement so if your partner moves around you don’t get quite so disturbed. Luxury Lovers – It’s a really luxurious mattress, great feel and really comfortable, hotel level comfortable! The Price of the Hyde and Sleep Pocket Spring Mattress is very competitive, I’ve linked through to the Hyde & Sleep Website below so you can check out the prices of the different sizes. Now that we’ve had a look at each mattress let’s see what else Hyde and Sleep have to offer. Well for a start they have a 100-Night Comfort trial, so you get to choose the firmness you want at the start and try it out for three months, then if it’s too soft or too hard you get to exchange it for another at no extra cost! On top of that each mattress comes with a 10-year guarantee. They researched and found that a mattress should last around 8 years so they wanted to one-up that and show the quality of the product they’re selling. Each mattress is rolled up and vacuum-packed into a handy box which gets delivered by UPS easy as pie. You just have to set the mattress on the bed open up the plastic and let it unroll. Far easier than having to cart a mattress home folded into the car! They also offer free shipping which is a definite bonus, I know I’m always a sucker for free shipping but what can I say it’s free? I spoke to one of the representatives on the instant messaging service they have on the Hyde and Sleep website. The person I spoke to responded very quickly and was both polite and helpful so that’s definite browny points there. Hyde & Sleep really tried to keep everyone happy by providing three siffernt firmnesses of mattress. You get great suport from the memory foam and maximum comfort from the pocket springs.